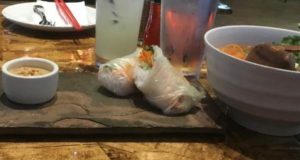 Every once in a while, instead of doing a typical food review we like to partner with a local restaurant and send a team in to do a menu tasting. The process is quite simple, we ask the business if they are interested and then round up six or eight of our contributors. 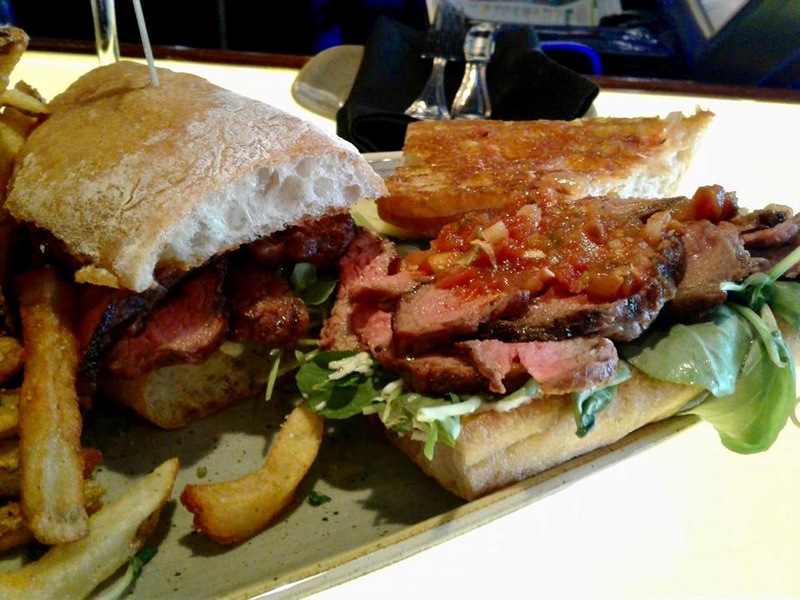 We show up hungry and thirsty and the restaurant provides us with whatever menu items that they feel are worth showcasing. 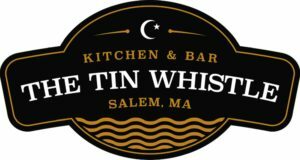 The business provides the food, but we buy whatever beverages that are consumed and we tip the waitstaff before walking out of the door. No promises are made, the restaurant either measures up or they don’t. 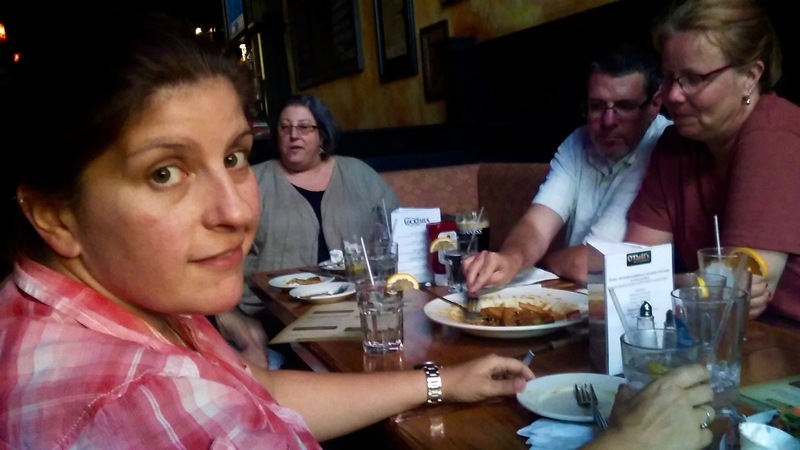 A few weeks back eight of us walked in O’Neill’s of Salem on a Tuesday night before the trivia crowd was due to arrive and grabbed a few tables right by the front window. They were ready for us and we spent about thirty minutes getting acquainted as some of us had yet to meet. 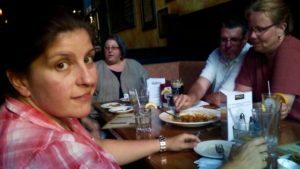 There may have been a social beverage or two consumed as we chatted and got to know each other. None of knew what was going to come out of the kitchen, well maybe they told me just before each item arrived, but the element of surprise was in play. First out were the Sheperd’s Pie Rangoons, an Irish take on a classic American-Asian starter. 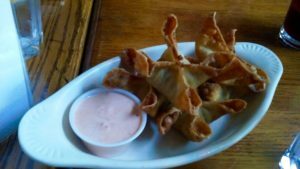 Small, maybe two bite wontons stuffed with the house made Shepherds Pie they are warm and crispy to the bite and then release a soft and slight warmer potato corn, and ground beef combination that is sure to raise memories of a home cooked meals. We were then presented with the Asparagus Rollup. 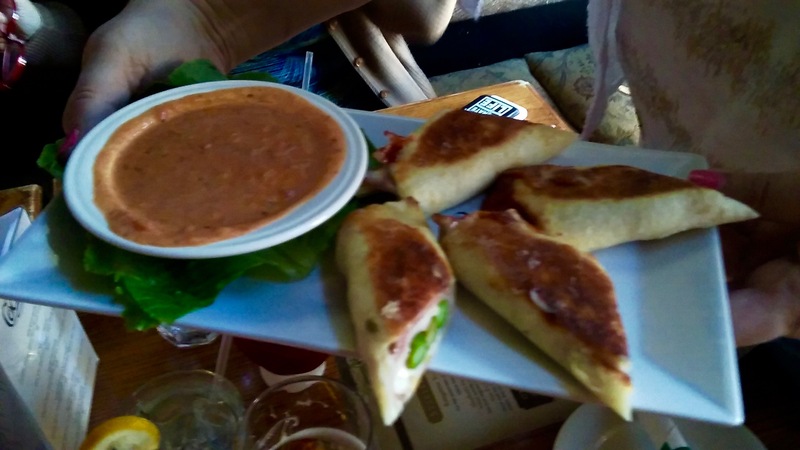 This tasty treat is an oven baked flour tortilla stuffed with swiss cheese, hams, and fresh asparagus. It comes with a creamy tomato sauce for dipping. The asparagus is truly fresh and cooked al dente. All at the table had good things to say about this item with a couple of people actually raving about them. The sauce compliments them nicely, but they also stand up well without the sauce. If you like asparagus you have to try these. Fried Clams are ubiquitous here on the north shore but we were quite surprised when O’Neill’s decided to add them to their menu. 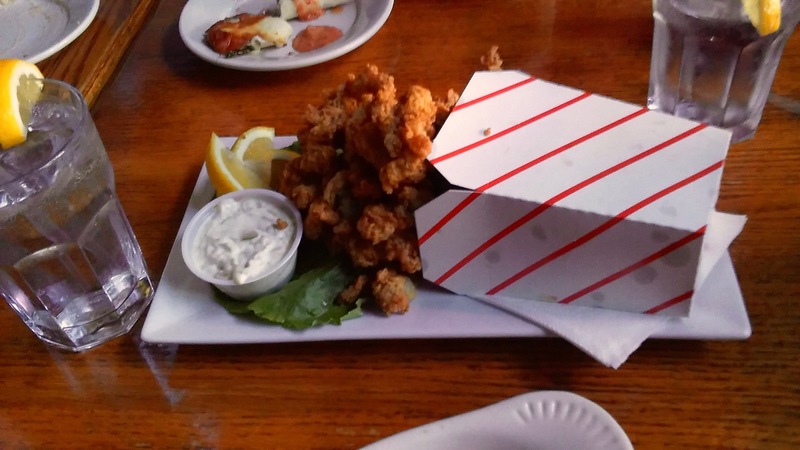 If you can do rangoon in an Irish Place why not fried clams? These were medium and larger whole-belly clams fried to a proper golden brown. It is easy to overcook a clam, it just takes a few seconds but these were done right and did not have that greasy non-drained feel and look that you sometimes see. This stop on the Salem Irish trail has a legitimate entry in the friend clam wars. The house made tarter sauce is a nice touch. Now comes the true revelation of this visit. The Lobster Roll. There are two types out there for the most part. The buttered ro ll and the roll with a little mayo. We all have our preference and many of us will just take whatever the house makes and enjoy, after all it is a lobster roll, the staple of local summer seaborne fare. We heard no complaints, only praise for this one which came with a large portion of meat, to include claw meat in a light bath of mayo on a bed of fresh lettuce and some onion rings. 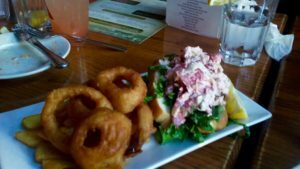 How to follow the lobster roll? 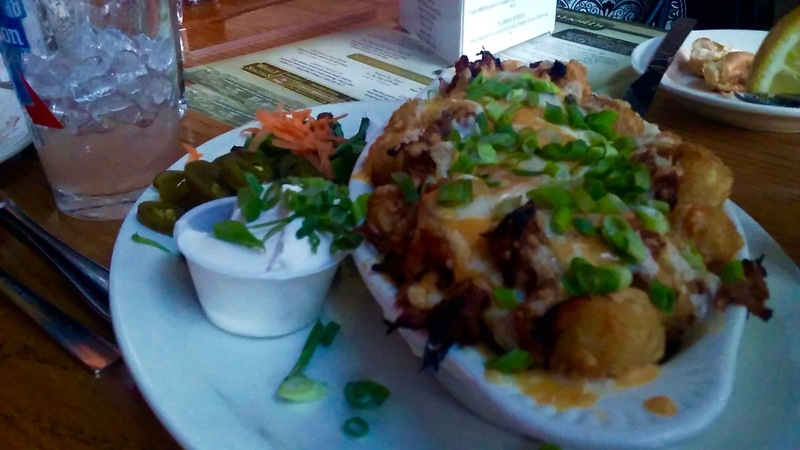 Well how about with a with heaping pile of tater tots known on the menu as “Lots Of Tots.” These are golden and crispy, topped with pulled pork, and covered in melted cheese with scallions and sour cream. The eight of us devoured these fried potatoes quickly despite all of the food that we had already scarfed down. All tater tots are not created equal and these are a cut above many of the others out there. We ended this O’Neill’s foray with a classic of Irish bars, The Irish Curry. If you are a fan of Indian curry dishes and have never tried the Irish take on it then we suggest doing so soon. It is truly curry, but with a slightly different accent in the flavor which some describe as slightly sweet. 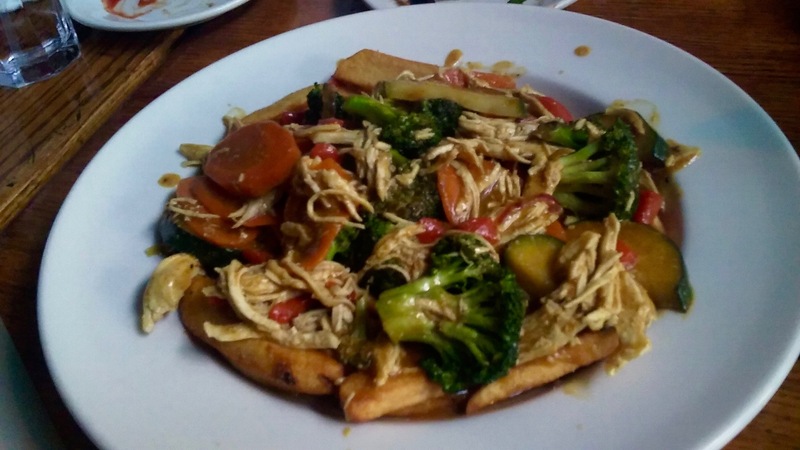 This dish is sautéed broccoli, carrots, peppers, and squash and can be served over french fries or rice, We got the fries and also were lucky enough to have it topped with chicken. You can get it with shrimp or steak. We made short work of this one, OK we made short work of all of the dishes we were served, that doesn’t make us bad people, but it does mean that we had a really good time. O’Neill’s of Salem, in a downtown full of places to eat remains greatly under appreciated and we here at Salem Food Digest strongly encourage you to visit them some time soon to decide for own own if they truly deserve our praises.